For the third event of the 2018 GC32 Racing Tour, the flying catamarans will return to the Mediterranean’s premier multi-class regatta, 37 Copa del Rey MAPFRE, run by Real Club Nautico de Palma. 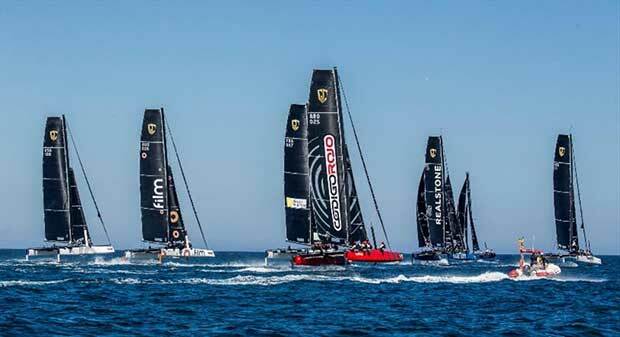 Racing for the eight GC32s begins in one week’s time on the Bay of Palma, where other premier racing yachts such as Maxi 72s, TP52s, Melges 40s and Club Swan 50s will also be competing. 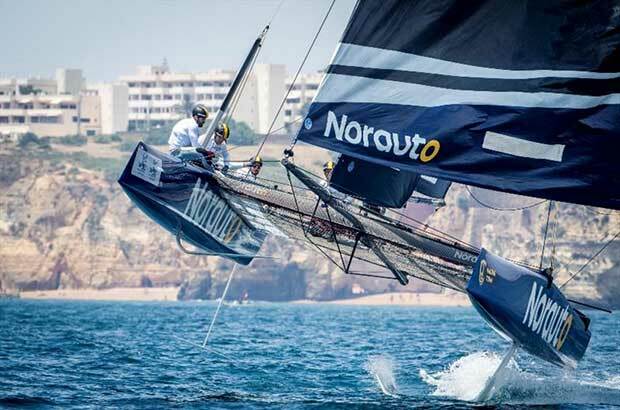 Leading the charge on the water is likely to be French former Volvo Ocean Race winner and America’s Cup skipper Franck Cammas and his NORAUTO powered by Team France. 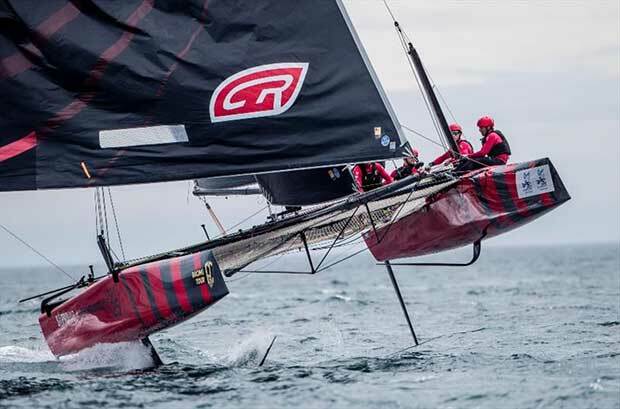 This season Cammas holds a perfect scoreline – top GC32 Racing Tour boat at the World Championship at Riva del Garda in May and in June’s GC32 Lagos Cup. Personally Cammas has recently returned from competing in L’Étape du Tour. Aboard two wheels rather than two hulls on this occasion, he finished the 169km cycle race (including 4000+m of elevation) around France’s Haute Savoie in 297th place – not Cammas’ usual podium position, but impressive among 12200 finishers. Although NORAUTO has been holding a dominant position on the GC32 Racing Tour, she is being challenged, especially by Erik Maris’ Zoulou, with a crew including many who sailed with Cammas in last year’s America’s Cup and the Jerome Clerc-skipper Realteam, winner of the 2017 GC32 Racing Tour. At the heart of the GC32 Racing Tour lie the owner-driver teams – an impressively international line-up that in addition to Erik Maris and Zoulou includes Simon Delzoppo’s.film Racing from Australia, Simon Hull’s Frank Racing from New Zealand, two time Melges 32 World Champion Jason Carroll from the USA and Federico Ferioli’s Codigo Rojo Racing from Argentina. At present Argo and Frank Racing are tied at the top of the 2018 Owner-Driver leaderboard. Typically GC32 Racing Tour events are held on their own and both Cammas and Ferioli are looking forward to the GC32 competition being part of a bigger competition, providing the opportunity to show case the circuit and its flying boats to the cream of international yacht racing. Ferioli: “The Tour has a good balance of private events, like in Lagos and then being part of bigger events, like Copa del Rey is great.” And in one of the coolest, state of the art sailing classes. “We couldn’t ask for more,” he agrees.